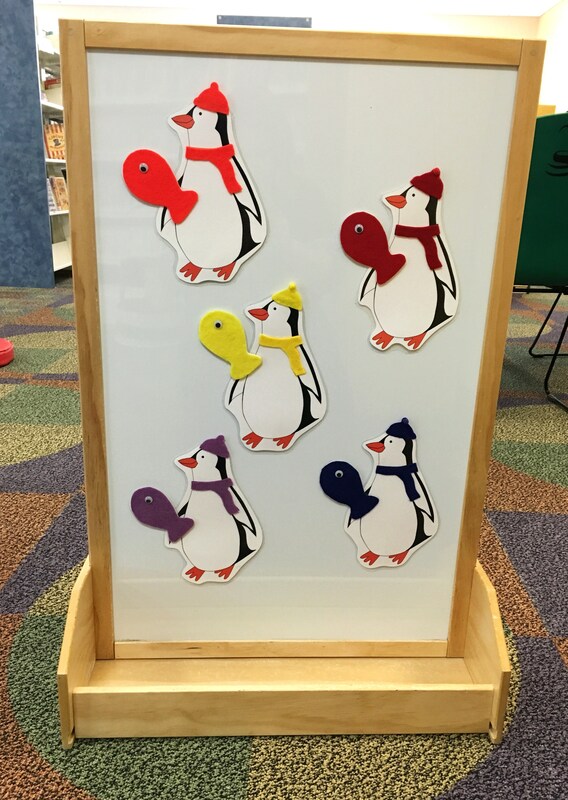 I created these penguins for my Penguins and Polar Bears Storytime and then decided to get some extra use out of them by making them into a color matching activity board. 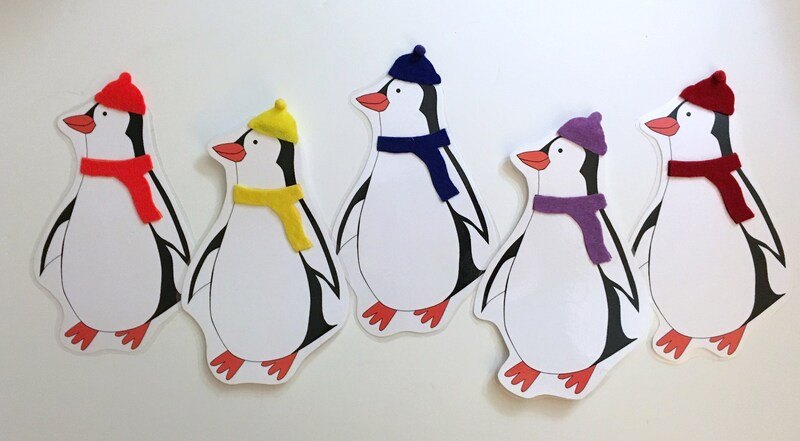 Here’s the penguin printable: After printing and laminating the penguins, I decided to dress them up with some felt hats and scarves. Then I made each a matching felt fish. Since these are going on a magnetic board, I cut a fish out of paper, laminated it, and then glued felt on top. Tip: The best glue that I’ve ever found for felt is E6000 craft adhesive. Here’s a template for the hats, scarves, and fish. 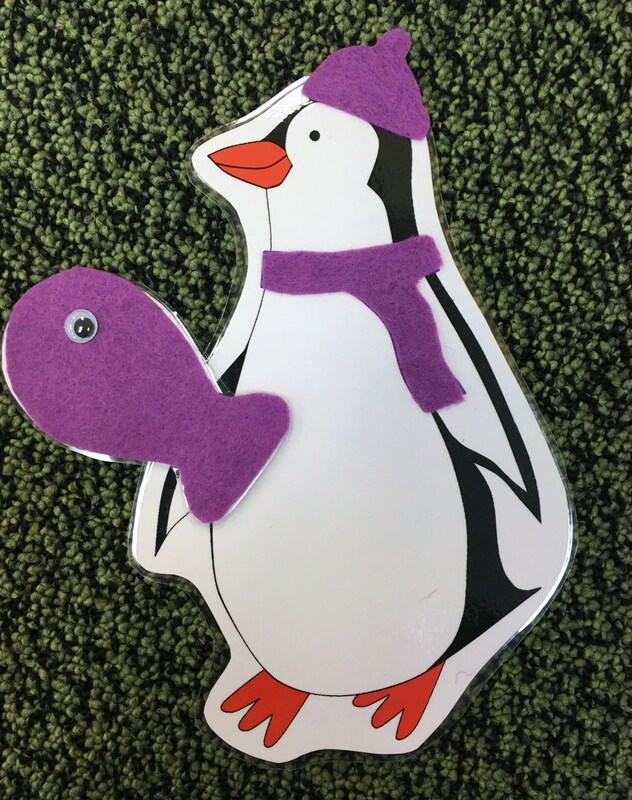 I added magnets to the back of each penguin and fish and put them up on our activity board for play and matching fun! January 12, 2016 in Printable.